While choosing a school for our tiny-tots, we often scan the brochures of several schools. Most of them showcase photos and percentages of students who have scored high marks in the Board examinations, provide elaborate statistics demonstrating the number of students getting ‘A’ grade in class X and so on. Generally, parents get swayed by these rosy pictures considering them to be true measures of the school’s academic practices. 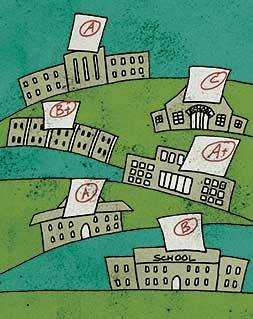 In a way, assessment grades obtained by students in schools are considered to be an indicator of the quality of education being provided to students in schools. Broadfoot and Black (2004) suggested, “Educational assessment must be understood as a social practice, an art as much as a science, a humanistic project with all the challenges it implies and with all the potential for good and evil to the business of education.” Therefore, with assessment outcomes being used as a measure to label children for life, it becomes all the more essential to undertake student assessment that is reliable, fair, valid, and supportive of learning. Theoretically, preparing assessment for students is considered an essential part of a teacher’s academic repertoire. It is assumed that teachers are the primary agents who can teach and assess students’ levels of learning best when compared to classroom outsiders. With the introduction of Continuous and Comprehensive Evaluation (CCE) procedures by the Central Board of Secondary Education and also by other state boards, it has been realized that assessment procedures in schools need to serve dual purposes – summative and formative. Teachers need to assess students’ learning levels continuously to decipher students’ learning difficulties, provide timely feedback and remediation. Thus, assessment demands made on teachers’ workload has increased immensely. Therefore, teachers spend a lot of their planning time in preparing assessment modules for their students. This leads to stress and burnout among teachers. A Detailed Assessment Report (NGOs and private organizations) issued by the Department of School Education and Literacy, Ministry of Human Resource and Development, Government of India, observed that usage of Information and Communication Technology (ICT) based assessment services could be an asset for successful designing, enabling, and execution of CCE which is a current challenge to the school system. Therefore, outsourcing test preparation to external bodies was considered by school authorities so that teachers’ time is redirected to pedagogical planning and remediation. The notion of outsourcing assessment by schools to external bodies and consulting firms, has gained popularity in recent times in India, is already popular in the US, the UK, and Australia with firms like CORE Education and Consulting Solutions, LearnSmart, Score-Plus providing services. At present, many consulting firms have developed assessment software specifically tailored to suit the Indian educational landscape, such as Edugnite, Student Progress Tracking System, AC3 edMastery, FAIM, STEMpower, etc. Envista Mindmap Pvt. Ltd., a Bihar-based assessment service provider, notes that school-based assessment tools are often non-standardized which makes it difficult to compare students for selection in educational institutions of higher education and to take transfers across schools. This brings in the need to take recourse to standard assessment tools which may enable egalitarian ways of selection and certification. Assessment modules prepared by service providers often work towards assessing wide ranging conceptual skills and outcomes. Co-scholastic aspects, such as critical thinking, creativity, attitude, emotional intelligence, etc., are also duly assessed and all this occurs with modules that are often engaging, stimulating, and diagnostic in character. M Bhatacharya, Headmistress, Dolna Day School Trust, Kolkata talks about the assessment formats of International Assessment for Indian schools. She says, “It is an excellent system of assessment by assessing the intelligence, skills, and concepts of the child and not merely his or her power of retention or diligence.” Edutor Technologies, a Hyderabad-based firm, suggests that assessment should be kept simple and targeted to learning. And to avoid confusion it can be separated from CCE so that no stakes are involved and students perform in a non-threatening environment. The assessment modules have multiple-choice questions delivered on the computer systems of the school. The teacher just needs to sign in and download specific tests as per the requirement and administer it under her supervision. The set of questions for each student is different. There also exists a provision for teachers to upload their self-created assessments on the portal. Although feedback information provides a detailed overview of the possible misconceptions associated with any of the wrong responses made by the students, a possibility of in-depth probing of learners’ mis-understandings goes amiss in these assessment tools. Students may answer test items by guessing, thus it cannot be said with certainty that wrong responses reflect faulty conceptual structures. Also, benefits associated with other forms of assessment tools, such as role-play, creative writing, poster making, etc., cannot be fruitfully availed of through the modules provided by the service providers. One of the prime requirements for making use of assessment services is the availability of ICT resources with the school. In the words of an ICT Manager of Woodstock Vila School, Mussorie, Jeff Rollins, “ICT is a very expensive proposition and cannot be created overnight.” A study titled ‘Implementations in a Private School in India’ conducted by the Department of School Education and Literacy, Ministry of Human Resource and Development, Government of India, outlined that the bare minimum requirement for availing ICT enabled assessment services by consulting firms is electricity, computer facility, and internet connectivity. Apart from this, there are other running expenses with relation to maintenance, customization, enhancements, hosting, and human resource. Schools also need to invest considerable time and resources in undertaking capacity development of its teachers to enable them to use the products effectively. Step by Step School, Noida, listed computer-literacy as one of the pre-defined criteria for staff recruitment. Similarly, specific efforts are made at Vasant Valley school, New Delhi and Delhi Public School, Sonepat to equip teachers with latest computer technologies as they believe that unless the school’s teaching staff is equipped with ICT skills they will not be able to meaningfully utilize ICT based educational programs. Although the installation and recurring costs are high, it has not discouraged government and government aided schools from utilizing these services. Educomp has designed Edureach program which is being utilized by 11,000 state government schools. Education Initiatives’ Mindspark program is being used by about 20 government and government aided schools in India. The product has been translated into Gujarati to remove the language barrier. Their other product, Student Progress Tracking System, is being used by 400 schools across Bhutan to track the progress of all the students. CORE’s edMastery is being used by all 12500 CBSE Schools. Eduvisors, a Gurgaon-based research and consulting firm, suggests that the use of low-cost tablets and smart phones can be one of the ways of cost-reduction associated with assessment services. Assessment service providers have shown school education a successful way to pursue formative assessment in day-to-day teaching. It is a convenient measure to assess students continuously and comprehensively, but involves investments in ICT technology and human resources. As educators, we need not follow the model blindly, rather we should critically evaluate its positive effects for the teaching-learning process and try to bring it to our classrooms for assessment to become a fun and enjoyable process for all. Broadfoot, P. & Black, P. (2004). Redefining assessment: The first ten years of Assessment in Education. Assessment in Education, 11(1), 7-26. India has recently witnessed a burgeoning market of educational service providers. With the inception of Continuous and Comprehensive Evaluation, the market for assessment service providers has seen a steep surge. Increasingly, many more government and private schools are subscribing to these services. In such an educational landscape, it seemed crucial to get the stakeholders’ view on it as they are the ones who can best enlighten about the pros and cons associated with the service providers. Rachna Sharma, vice-principal, Silver Oaks School, Hyderabad, elaborates on her experience of using assessment service providers for the school. Why has your institution subscribed to assessment service providers? We do two kinds of assessment-one, in-house done for our personal consumption by the school teachers themselves, and the other is by assessment service providers. We have been using the Detailed Assessment program by Educational Initiatives for the last eight years. It enables us to know where our students stand in comparison to other schools in the country. It provides us statistics of how our school is performing in terms of students’ learning when compared to others taking the same test. Although, the statistics provided by them do not reveal the names of other schools, the numbers are there….moreover the questions in tests given by EI are non-routine….thinking based questions which ignite the minds of our students and encourage them to think out of the box. Over the years, I have found that it also satisfies the parents’ needs and provides them with specific measures of where their child is in her learning and what concepts require improvement. These assessments provide us with an outsiders’ lens of looking at our teaching-learning practices. Was subscribing to assessment service providers an institutional decision or parental requirement? It was purely an institutional decision. Does your institution also take up any other kind of teaching-learning services from outside agents? Yes, we use Mindspark by EI itself. What kind of assessment questions are supported by modules given by assessment service providers? These are all multiple-choice questions. They are well-researched, thinking based questions targeting students’ critical thinking and analytical skills. It is more of application-oriented problem-solving stuff rather than fact seeking questions. The nature of questioning is what makes them special. How do the nature of questions provided in modules by assessment service providers differ from regular school-based formative assessments? See, the purpose is different. We do formative assessment to understand whether our students have learnt a specific concept well or not, what requires a little more teaching, has it been understood equally well by all or does some specific group require more inputs – so the questions are more concept- focused. It is also taken intermittently throughout the year to ensure that problems are handled immediately, and hence, the questions in formative assessment are from a specific topic only. Whereas, assessment service providers ask more open questions that may draw from learning concepts throughout the year or even from previous grades. They assess the basic understanding of students. For instance, they do not ask what is photosynthesis, rather they will ask what will happen to a plant kept half in sunshine and half in the shade, thus, triggering a process of thinking beyond the confines of textbooks. What impact does it have on pedagogical practices in the classrooms? It’s like the more you stretch the mind, the more it expands. Assessment service providers encourage students to stretch their minds and its positive ripple effect is definitely being observed in classroom teaching. Teachers do keep in mind that such thinking-based questions will appear in the assessment and therefore they incorporate such avenues in classroom teaching. This is not to say that they teach to the test…the focus has always been on students’ learning. 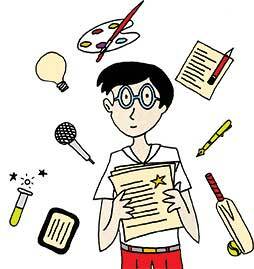 Do you think the difference in learning will impact students’ future career prospects? Certainly. You look at the question papers of several entrance examinations, in fact, questions in the board examinations are also changing from being fact-oriented to application-based. Once students are acclimatized to answering such questions through modules by assessment service providers they are definitely at ease in the entrance examinations and so on. It’s just that your mind gets attuned with practice. However, benefits will vary from child to child. A child who does not use the diagnosis provided to her/him will hardly benefit from it. Our job is to provide them maximum exposure so that they become confident in the future. What is the frequency of tests? We do it annually, as over testing may lead to obsession with results and anxiety in the students and their parents. The results of these assessments are not included in the regular report cards. Assessment service providers give a separate booklet to all the students. She observes that assessment service providers target the skill base-analytical thinking, critical thinking, creativity, application, problem solving-which often remains ungrounded in school-based assessments. The National Curriculum Framework (2005) observes that it is essential to develop these new-age skills in our students to make them competent for the present-day knowledge economy. Therefore, it can be suggested that the nature of questioning, ease of administration and detailed diagnostic feedback provided by the assessment service providers can be good for the Indian school system. The author is Assistant Professor, University of Delhi. She can be reached at garima1agg@gmail.com. How do we assess art?